Team MSO is celebrating 3 years of continued sponsorship support from ARB USA. As a title sponsor for our YouTube series, ARB USA joins forces with OK4WD and Cooper Tire. Its humbling know that the great folks at ARB 4x4 Accessories believes in you, thanks so much! The origins of ARB can be traced back to Australia’s remote Top End, circa 1975. A region of vast distances and rugged terrain, it was fast becoming a Mecca for the nation’s burgeoning 4WD community. However, the very environment that attracted 4 wheelers also wreaked havoc on their equipment – when driving in extreme conditions, only the best 4x4 accessories will do. This was the conclusion drawn by Tony Brown during his travels at the time. While exploring the treasures of the Top End, the skills Tony gained from working on his Land Rover were regularly called on to mend damaged bull bars and broken roof racks. Bar work back then was crude, not at all suited to overland touring, and through this experience an idea was born - high quality equipment that met the vigorous demands of 4WD owners. Upon returning to Melbourne, Tony put theory into practice via the family garage, where he sought to address the product deficiencies he’d encountered. His vision called for a combination of sound design principles and reliable raw materials… a simple solution to an endemic problem. The concept was embraced when it hit the fledgling 4x4 market, and ARB – the initials of Anthony Ronald Brown – was founded. ARB is Australia’s largest manufacturer and distributor of 4x4 accessories. We also have an international presence, with an office in the US and an export network that extends through more than 80 countries around the globe. Our philosophy, however, has never wavered from its original course – quality, reliability and practicality above all else. 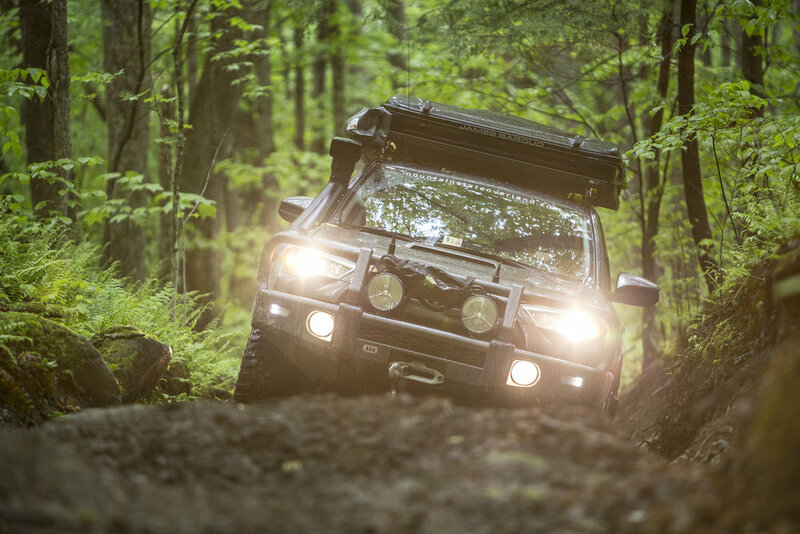 Learn more about ARB 4x4 Accessories and visit their website.